Yotes Games: Statistics Survey: Are Students Passionate About Their Career Choices? Statistics Survey: Are Students Passionate About Their Career Choices? For my statistics class I needed to make up a survey to ask a random sample of 100+ students at my college. I decided to survey students on a topic I'm genuinely curious about, I want to know just how many people are looking forward to a bright future. Not just a successful or stable one, but a happy one in terms of a career. I've talked to so very few people who know what they want in life and started chasing their dream. 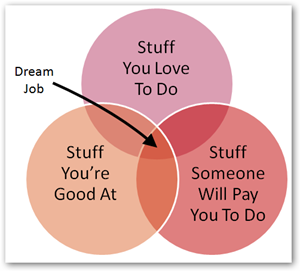 From what I've heard from an overwhelming majority, most people don't know what they want to do or who they want to be. Most of my friends just want to find the easiest high paying job possible or just get by doing something loosely related to what they like. People from other majors that I've been grouped with in classes have a general attitude of not knowing what they want or they feel pressure from their parents and society to reach some kind of rank and "be somebody". I believe that this problem stems from what kids are told to think while growing up. The whole idea of "You can be anything you when you grow up!" as long as you choose to be a doctor, lawyer, astronaut, fireman, athlete, or the president. But what happens when you fall short of those expectations? Why are people trained in school to become great employees while just barely even considering becoming their own bosses? School takes an entire generation and makes us compete, despite individual strengths and weaknesses up until college where the curriculum is suddenly more individualized. How are the kids supposed to make up their minds so suddenly? Why do parents think that once someone is 18 or 21 they suddenly have their life planned out in detail and have 30 plus years of life experience? It's a big mess that I could write a fifteen page paper about but this probably isn't the place for that. I'm going to conduct a survey as my class project and find out what the overall opinion is on feelings toward school and find out how students fell about themselves and their futures. It will give me better understanding of my peers and probably change the way I see them. Below are the things I'm trying to answer for my report. 1. How passionate are students about their current career choice? 2. Do students believe that a formal education is absolutely necessary for their careers? 3. What is the primary motivation for attending school: talent development, parental guidance, social pressure, or job requirements? 4. What motivates students most about their careers: money, fun, purpose, or social standing?